When a 35 mile stretch of the former Waverley route from Edinburgh to Carlisle reopened on 6 September 2015, it became the most significant reopening of any UK railway since the infamous Beeching Report, ‘The re-shaping of British Railways’, was published in March 1963. 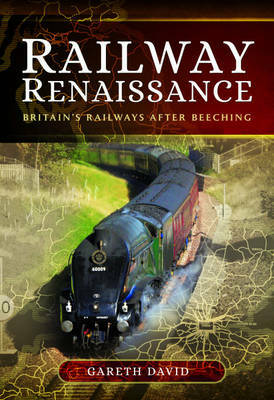 In his report, Dr Richard Beeching recommended sweeping closures of lines across the UK to improve the financial performance of British railways, which led to wholesale closures over the following decade and a reduction in the UK rail network from 18,000 miles in 1963, to some 11,000 miles a decade later. After the recent completion of re-signalling at Pitlochry and Aviemore, another of Scotland’s wonderful manual signalling outposts will disappear this summer, when completion of Phase One of a £170 million programme to upgrade the Aberdeen to Inverness route will see the loss of semaphores at Inverurie. There are very few places to watch the flow of freight traffic along one of London’s forgotten arteries – the four-mile long Dudding Hill Line from Acton to Cricklewood – but pick of the bunch must be the bridge on Craven Park just north of Harlesden station. What must be one of the busiest and certainly the most expensive narrow gauge railway in the world is a 43km (27 mile) stretch of 3ft (914mm) gauge line which carries the vast majority of visitors to the world famous Inca citadel of Machu Picchu in Peru. Rail travel in Peru is not something that the majority of its population ever gets to experience, but for the tourist wanting a bit of affordable luxury there is nothing to beat a day aboard the Titicaca Train on its thrice-weekly journey between Puno and Cusco. Completion this month of what is known as Highland Main Line Upgrade Phase Two will see the disappearance of semaphore signalling at two locations along the magnificent route from Perth to Inverness. For a chance to savour Britain’s finest collection of lower quadrant semaphore signals, and a number of other unique historic features, it is well worth spending a few hours on and around Worcester’s two stations, Shrub Hill and Foregate Street. In what could well be the final year of daily scheduled steam operation, a major change to the workings from Wolsztyn depot in western Poland is taking place immediately after its famous May Day “Parade” event, which occurs this year on Saturday, 4 May. Click the cover to see more details.